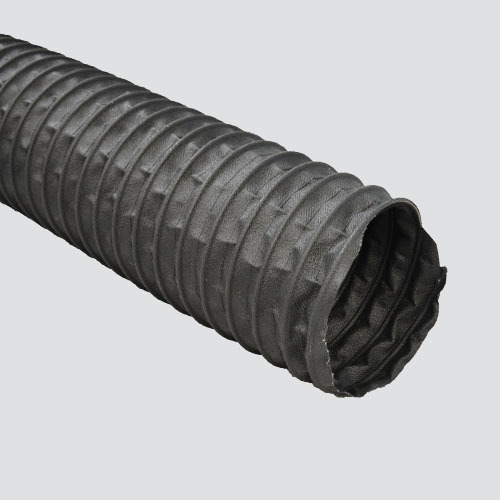 This rubber ducting hose is constructed of a 2-ply, black neoprene coated, polyester fabric, reinforced with a steel spring wire. The neoprene coating provides excellent flexibility, durability, abrasion resistance, chemical resistance, and weather resistance, while the steel spring wire provides crush resistance. This hose handles both positive and negative pressures, and is listed as UL 94V-0 flame retardant. It is a great low pressure hose for air handling, dust collection, fume control, and ventilation.